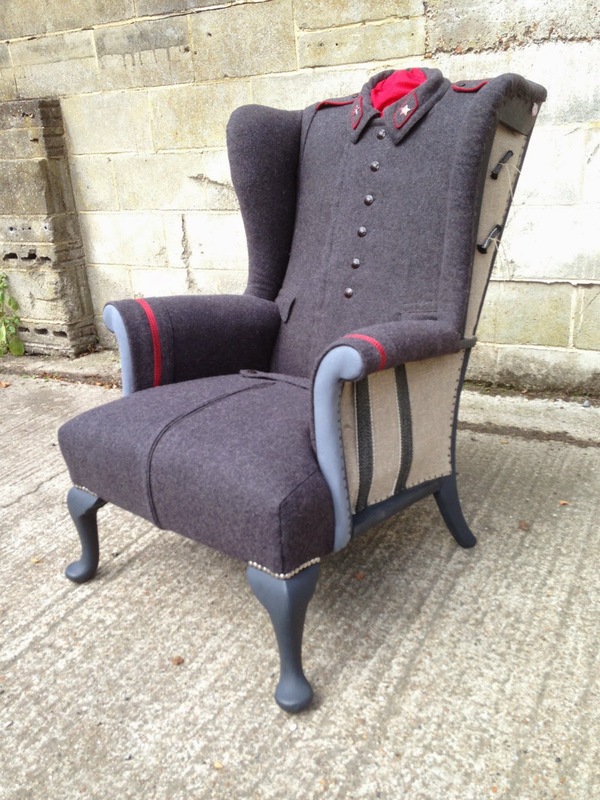 RescuedRetroVintage is a company that has a presence on Etsy, where they sell their Upcycled Vintage Armchairs & Chairs. They use different types of materials to bring back to life, these antique and vintage pieces of furniture. 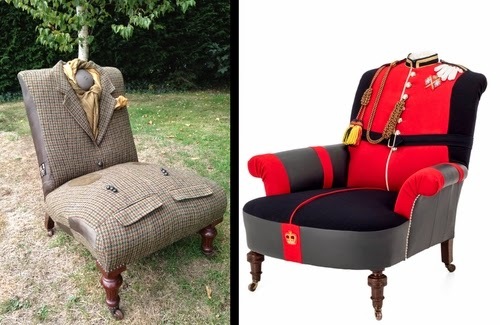 We are covering (no pun intended) the ones that use coats or uniforms to breath life into these beautifully crafted and unique Armchairs & Chairs, like the ones above. 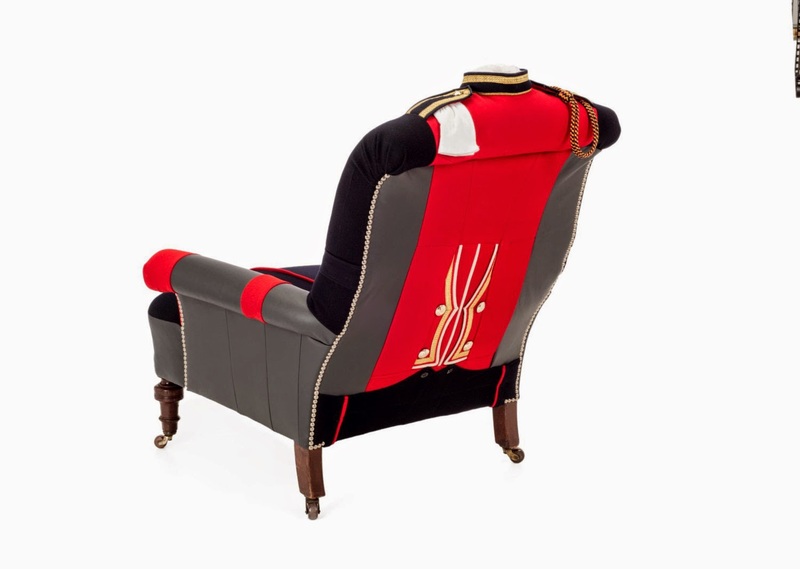 Stunning 'Coldstream Guard' Household Cavalry Ceremonial Uniform wrapped antique armchair. 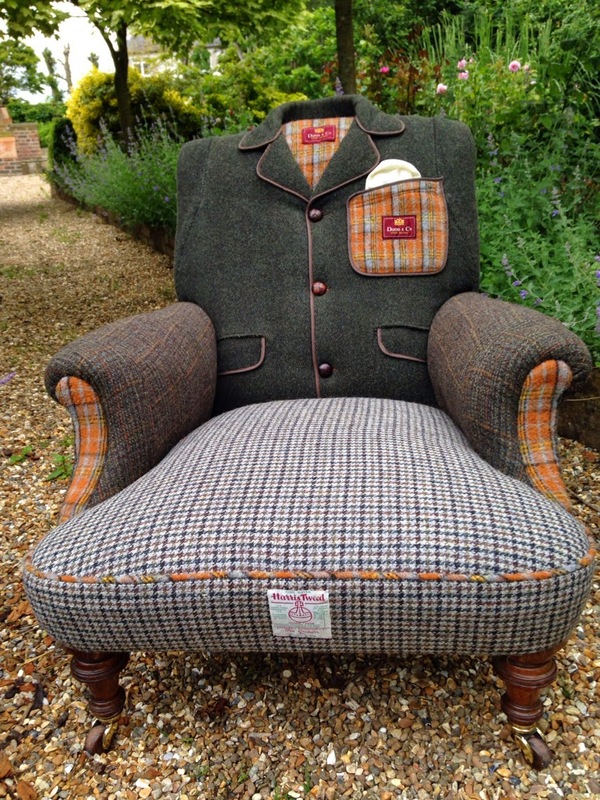 DAKS Harris Tweed 'Pony Club' Tartan jacket wrapped antique slipper chair. 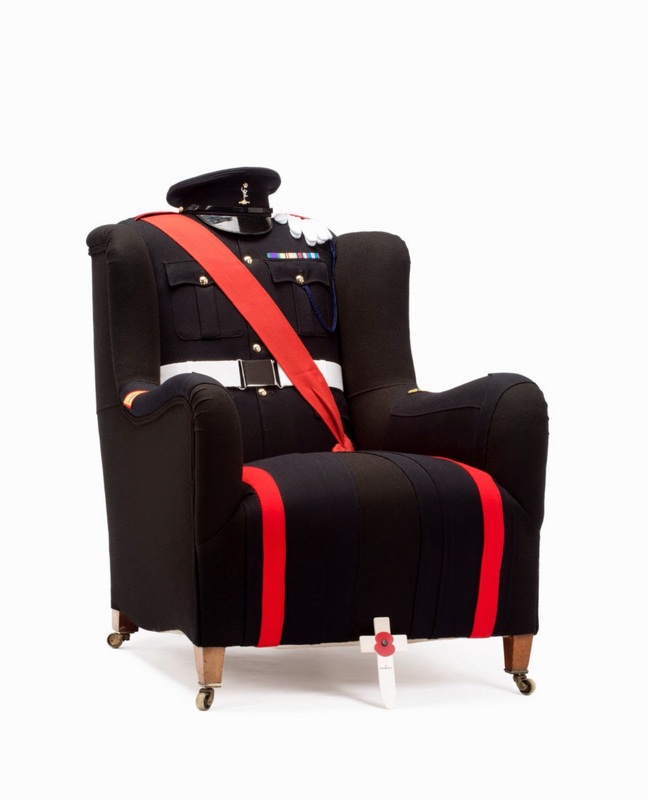 Original 1950's vintage Parachute Regiment uniform armchair. 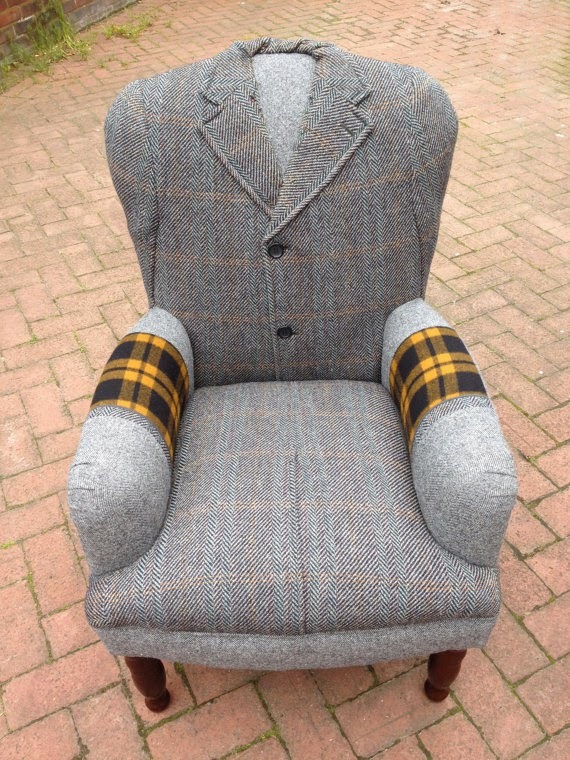 Vintage Harris Tweed 'Crombie' Overcoat Armchair. 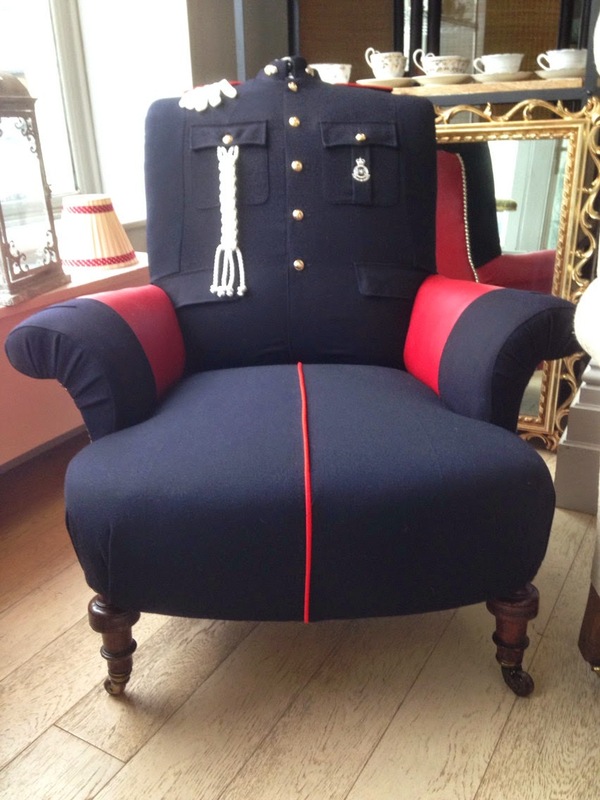 Quirky Unique Military 'Policeman Bobby' uniform wrapped antique armchair. 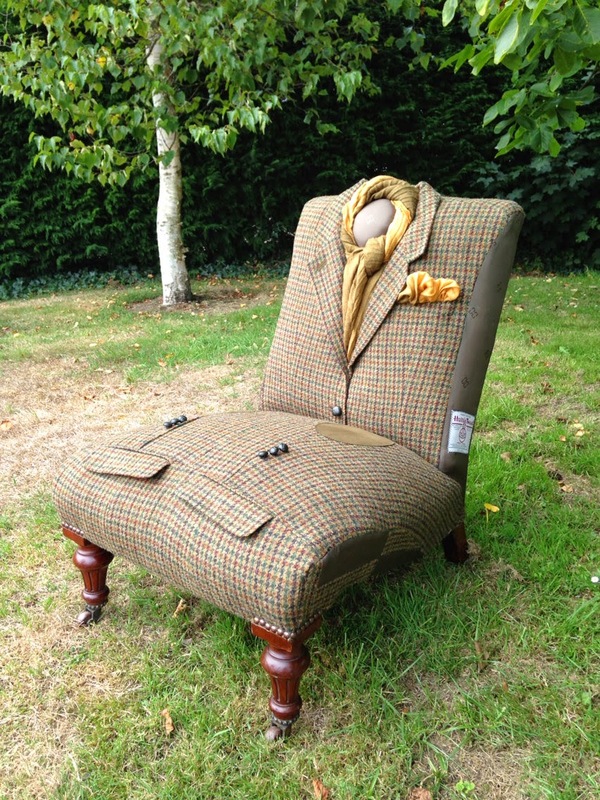 Upcycled 60's Original Dunn & Co Crombie Tweed Woolen Overcoat Covered Chair. 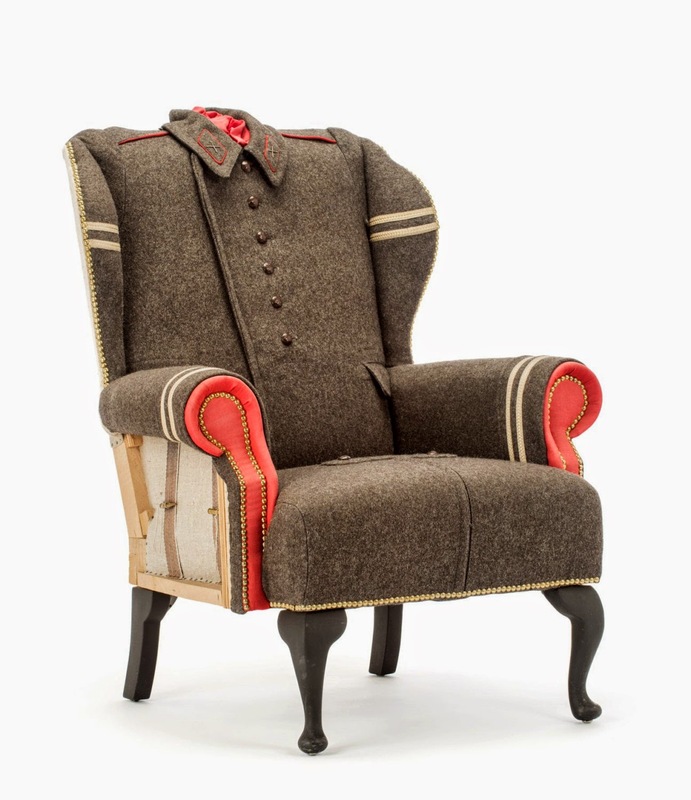 Original Soviet 'Cold War' Overcoat Wrapped Deconstructed Chair with Kalashnikov Bullet Detailing. 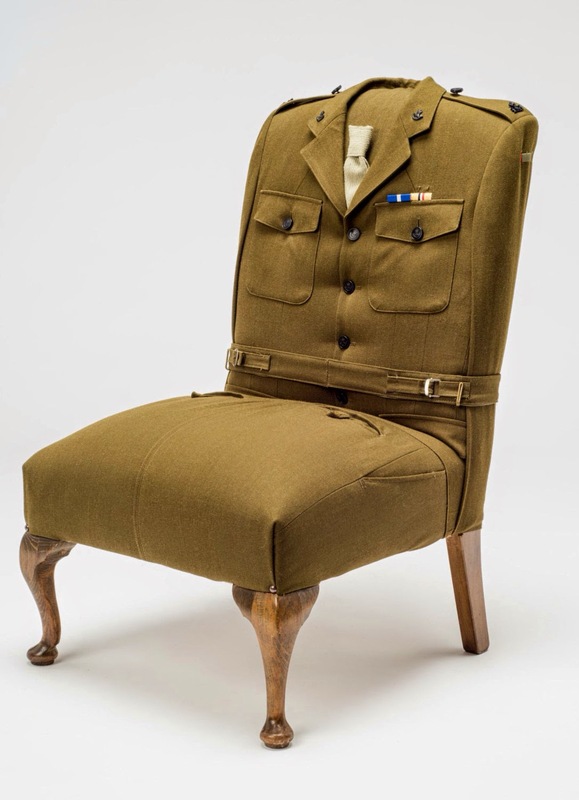 Soviet 'Cold War' Overcoat Wrapped De-Constructed Military Chair. 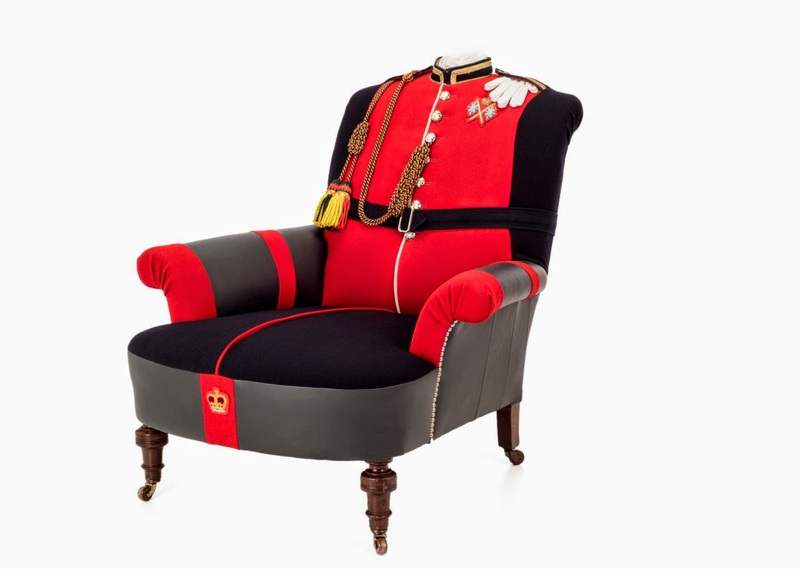 Unique & Quirky Original British Army uniform Chair. 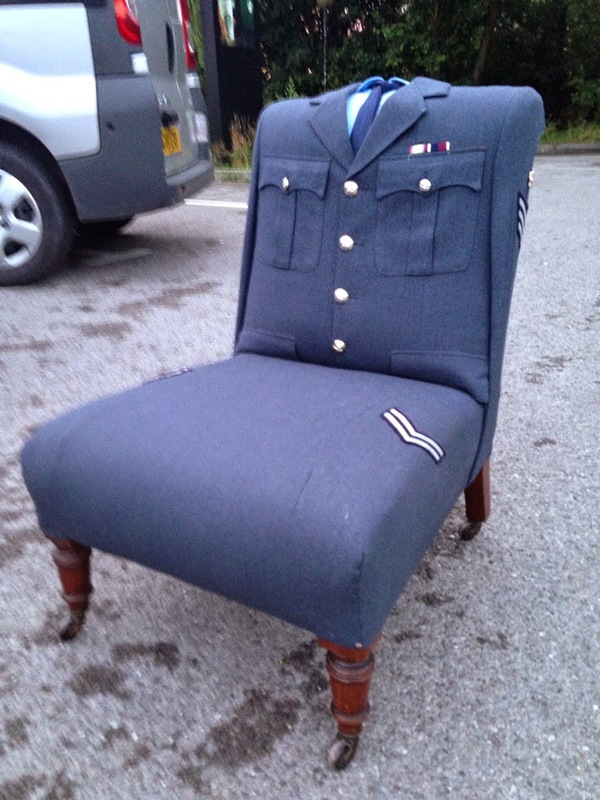 Vintage Royal Air Force uniform chair with a twist.